Hiking, trekking, Nordic walking, mountain biking, rock climbing, rafting and much, much more – the list of summer leisure activities available to the nature lover and hiker in the mountain world of the Dolomites is almost endless. The summery backdrop with all of its splendid colours and variety, the lush green meadows, shady forests and magnificent mountain ranges tempt visitors to discover and explore this utterly fabulous holiday paradise. Hiking in the Dolomites is, without a doubt, one of the classic leisure activities in the kingdom of the Pale Mountains. Numerous hiking paths, nature trails and via ferrata routes wind through the unspoilt landscape and lead to the legend-shrouded peaks of such well-known mountains as the Drei Zinnen (Three Peaks), Rosengarten, Latemar and Schlern. Routes of all degrees of difficulty await hikers, meaning that everything – from a leisurely walk alongside a crystal clear mountain lake to a challenging multi-day tour with breathtaking panoramic views from the summits – is possible: the dream basis for a hiking holiday in the Dolomites! 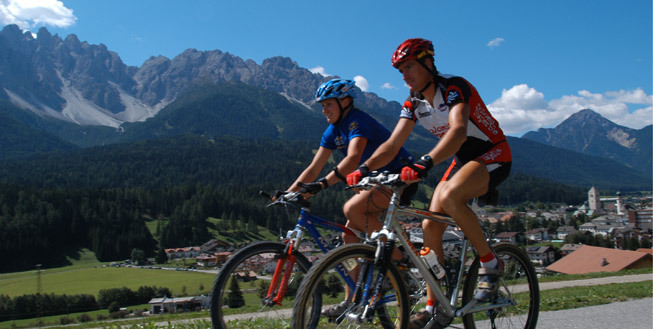 The mountain backdrop of the Three Peaks and the other mountains is also excellent for mountain bikers and cyclists. It is possible to spend weeks riding along a huge variety of cycle paths and mountain bike trails, achieving peak fitness in the process! 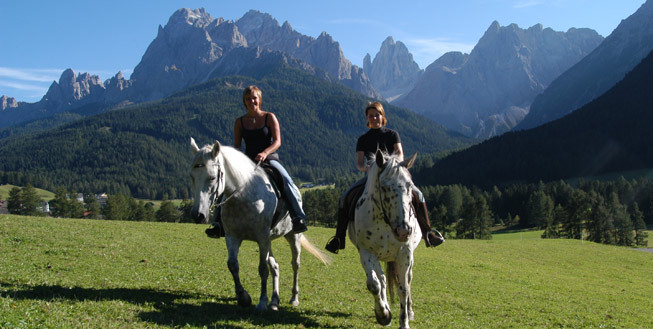 Those who are looking for a bit more excitement and a special adrenaline kick can always try out such thrilling sports as paragliding and hang-gliding or have no end of fun in the wild mountain streams and lakes of the Dolomites in a kayak or rafting boat. Whatever your preferences or interests, your summertime family, mountain or hiking holiday in the Dolomites offers everything that you could wish for!